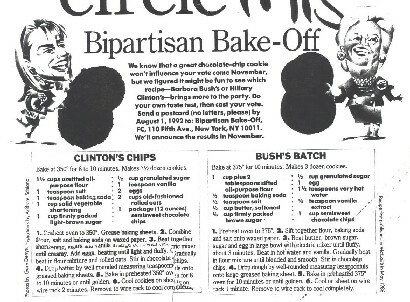 Back when I was at UCSF we had a cookie bake-off with Babs and Hill’s cookies during the 1992 election… Hillary won. Big Time. Preheat oven to 375. Sift together flour, baking soda and salt onto waxed paper. 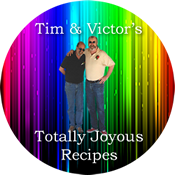 Beat butter, brown sugar, white sugar and egg in large bowl with electric mixer until fluffy, about 3 minutes. Beat in hot water and vanilla. Gradually beat in flour mixture until blended and smooth. Stir in chocolate chips. Drop dough by well-rounded measuring teaspoonfuls onto large greased baking sheet. Bake in 375 oven 10 minutes or until golden. Cool on sheet on wire rack 1 minute, then put cookies directly on rack to cool.